A simple model-off-duty style that is great for mid-length hair! Just spray some dry shampoo on your roots, rub in with your fingers and then loop the top third of your hair into a mini bun. Done! 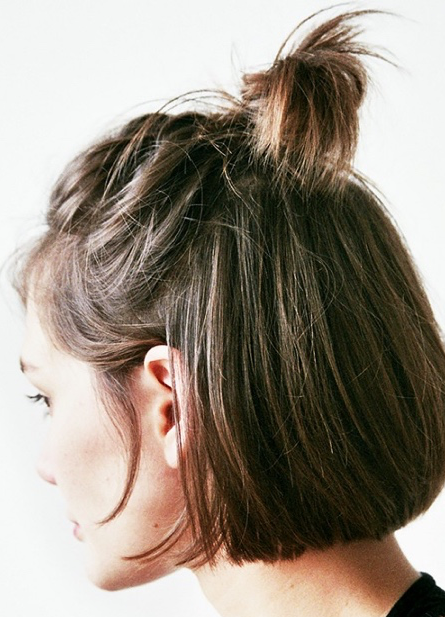 This mini-bun is perfect for those with shorter locks. It is similar to the looped half-bun above, but instead of looping your hair, you twist it into a mini ballerina bun and secure it with a clear hair elastic. Be sure to also let the ends fray out to add to the I-woke-up-like-this vibe. Create a messy fishtail. 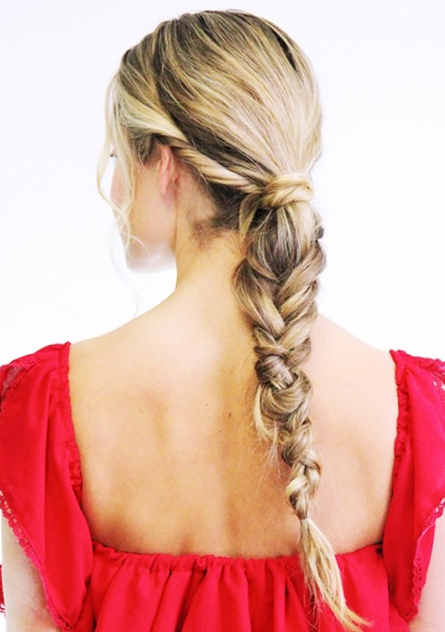 Just gather hair into a low ponytail, leaving two two-inch pieces hanging at your crown. 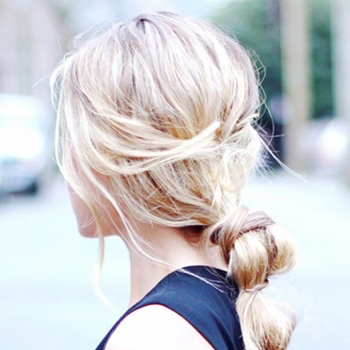 Braid your low ponytail into a messy fishtail, then wrap the two strands left around the hair elastic. Perfectly imperfect! Just spray a texturizing spray or dry shampoo from the middle of your hair shaft to the roots, then secure clear elastics along your low ponytail, pulling each section apart to create a “bubble” effect. 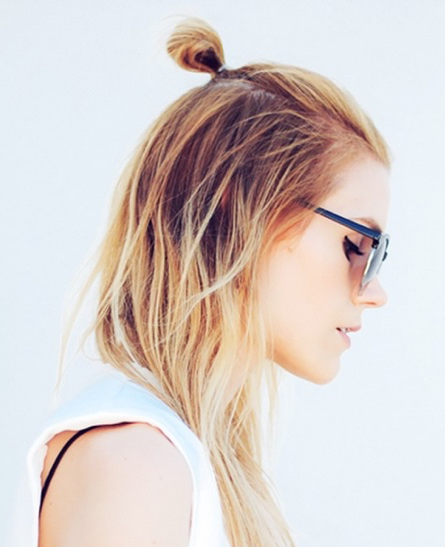 For more styling ideas for your second-day hair, check out Byrdie.